This gig is going on Friday at the Red and Black Umbrella - Cardiff's very own anarchist social centre! 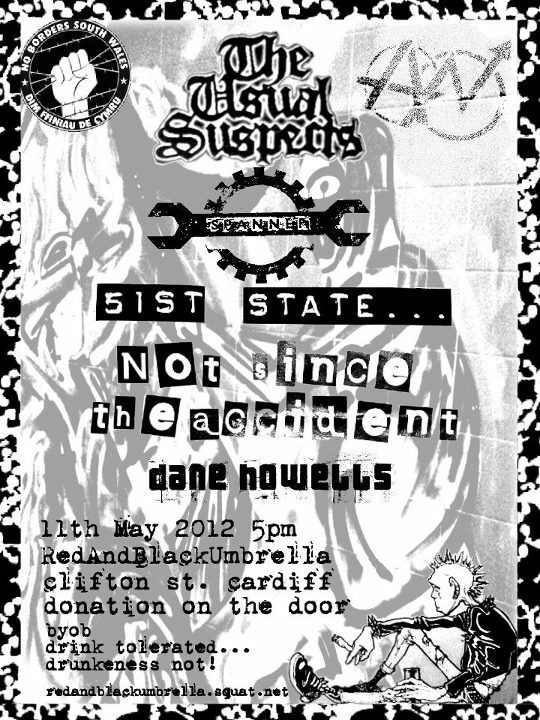 This gig is going on Friday at the Red and Black Umbrella – Cardiff’s very own anarchist social centre! Mayday! Picnic! Workfare Picket! A-Hole Launched!